On July 2, shot by Charles Julius Guiteau. 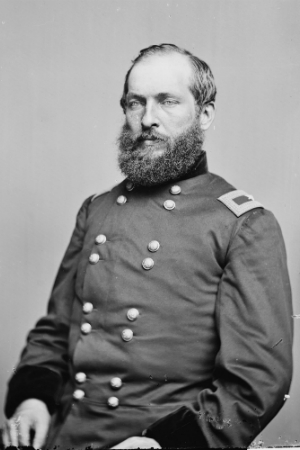 Garfield died of blood poisoning on September 19. Facts about Garfield and his presidency. The site includes a replica 1830's cabin and the site of Garfield's birth. Lawnfield, the Mentor, Ohio home of Garfield also houses his presidential library. Tourist information provided by the National Park Service. 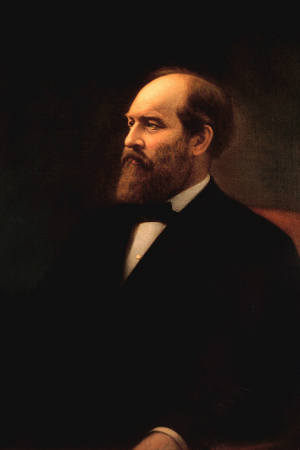 Garfield was the first left-handed president of the United States. 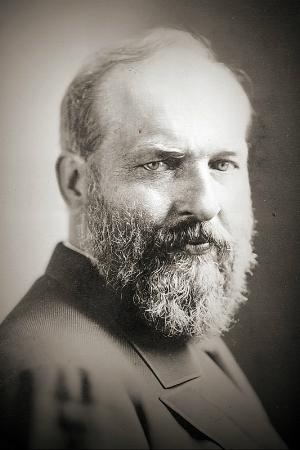 James Garfield could write Latin with one hand and Greek with the other, at the same time. 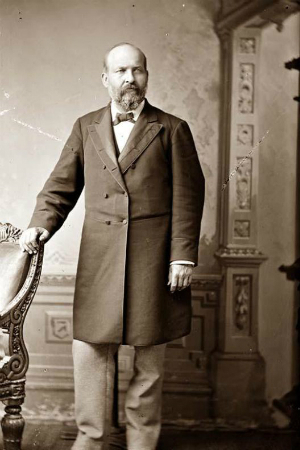 The last of seven presidents born in a log cabin, Garfield weighed 10 pounds at birth. He was the first president to campaign in two languages -- English and German. 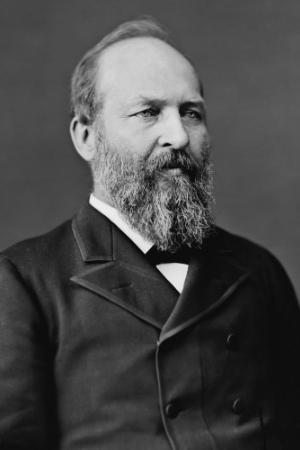 On election day, November 2, 1880, he was at the same time a member of the House, Senator-elect and President-elect. His mother was the first president's mother to attend her son's inauguration. 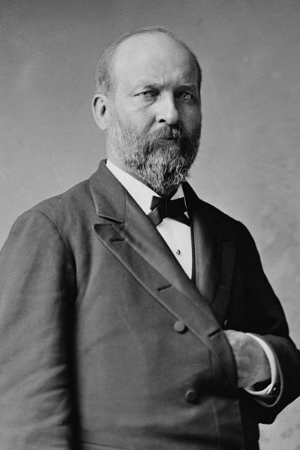 At the age of twenty-six, Garfield became president of Hiram College. At the time the school only had five faculty members. After Garfield's shooting, repeated probing for the bullet with non-sterile instruments resulted in blood poisoning which eventually killed him.